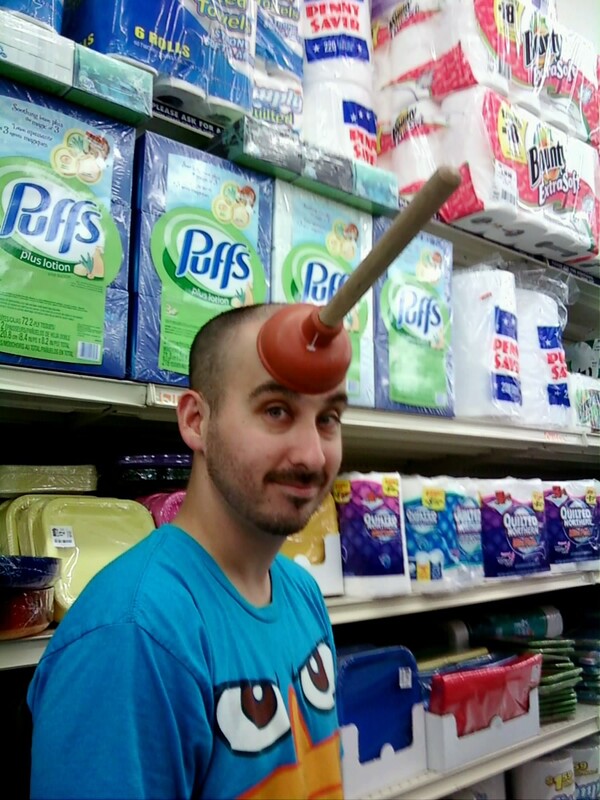 I’m not exactly sure what the purpose of a miniature plunger is, but this seems like as good a guess as any. 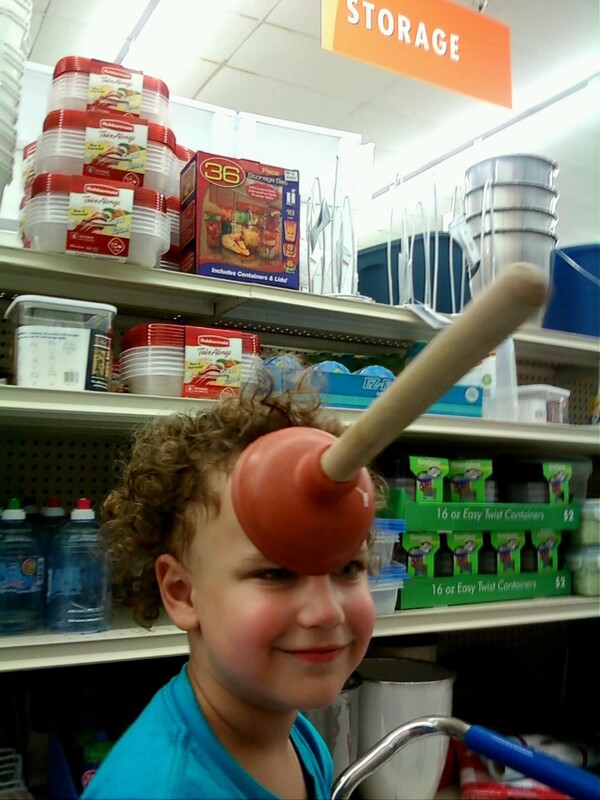 I’m just hoping that this particular mini-plunger was brand new and not one that had been returned after someone had tried to use it, but realized that it wasn’t big enough to do the job. 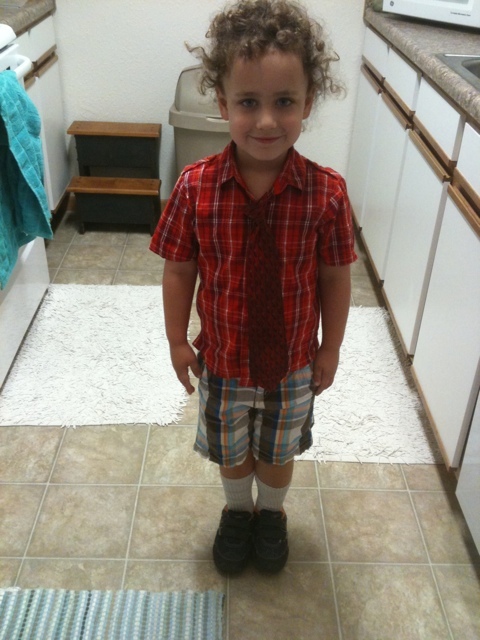 This is what happens when Jadon dresses himself…gotta love it! His outfits are always less boring than when we pick them out. The Wienermobile was in Joplin today, so we went and checked it out. Seriously – who can pass up the opportunity to see a giant, drivable wiener? Thanks for your contribution to society, Oscar Mayer! 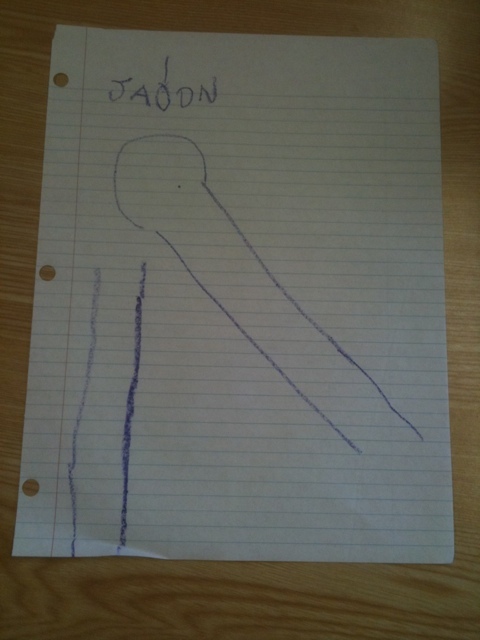 Here is a recent drawing that Jadon did in Sunday School. Luckily, we were teaching Sunday School that week, so we didn’t have to give an explanation for his Freudian giraffe. I would just like to take this opportunity to say congraduations (Congratulations on Graduation) to my boy Jadon Payne on officially graduating from K-4 (why don’t they just call it preschool?). In addition to graduating, he also received two certificates and two trophies. All in all, it was a good night – Jadon was excited to get all of his awards and Daphne and I were quite the proud parents. We’ll keep teaching him and encouraging him to keep learning, but I’m sure he’ll teach us a thing or two along the way.